This lamp has the look of a Heifetz lamp. 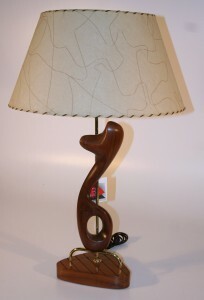 The shade is consistent with a Heifetz lamp. Mostly likely a design spin off and a good one. 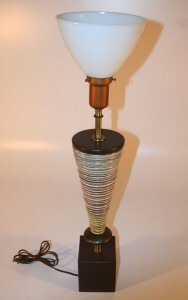 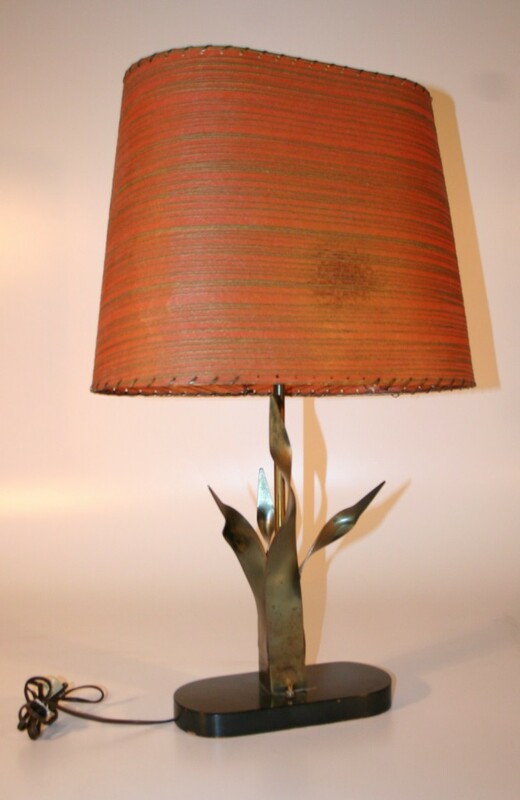 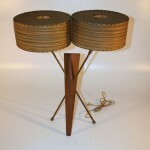 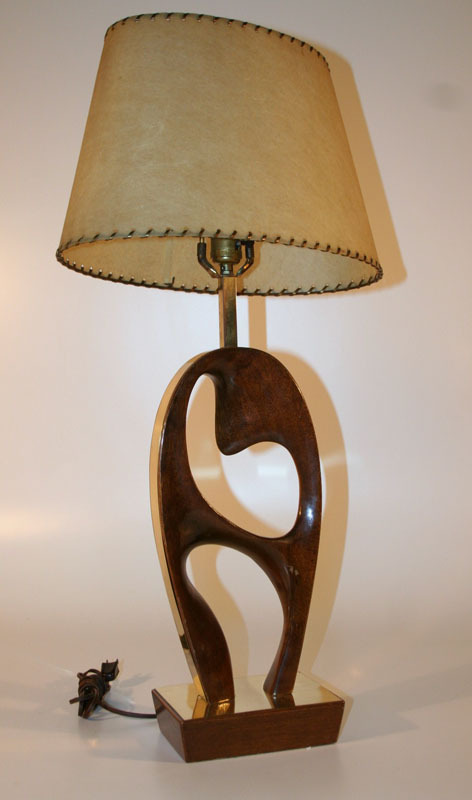 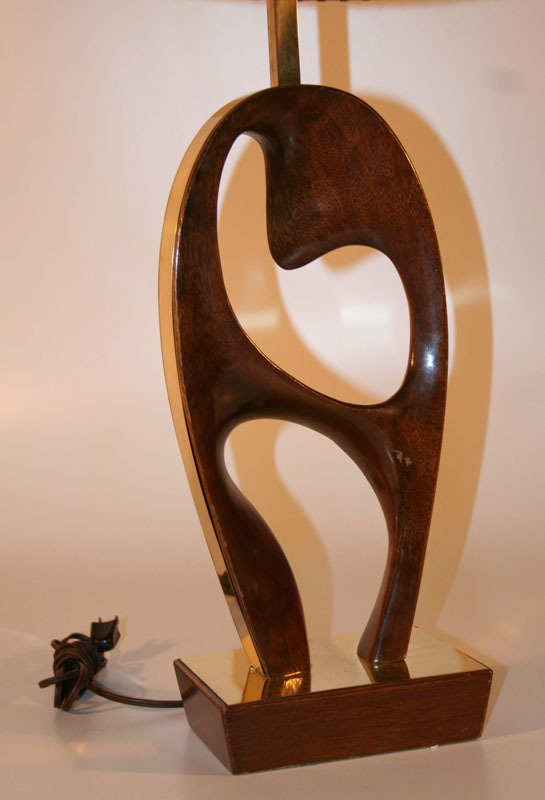 a stunning design of a Mid Century Modern Wood Lamp. A beautifully modern lamp with a quality diffuser. 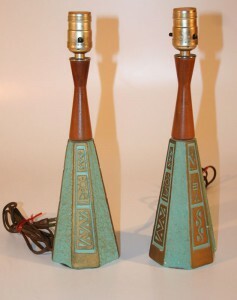 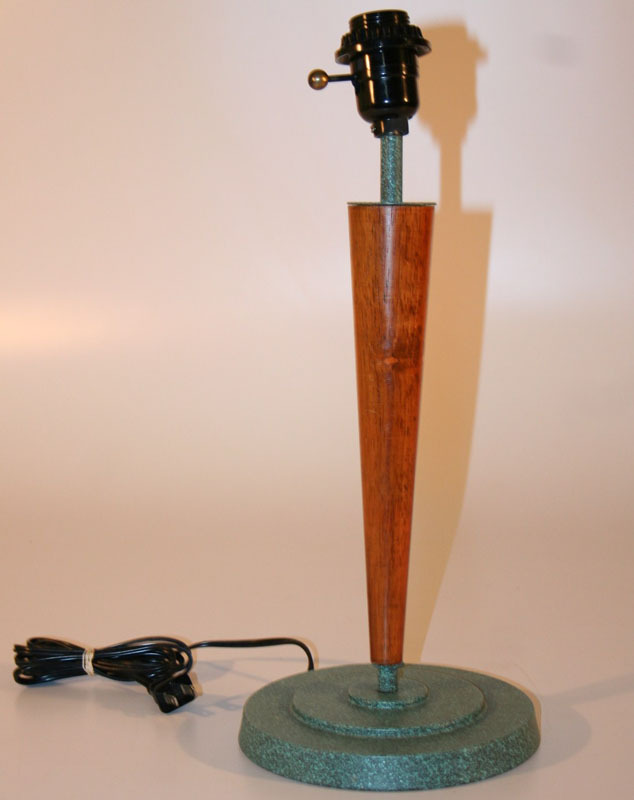 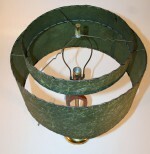 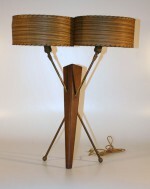 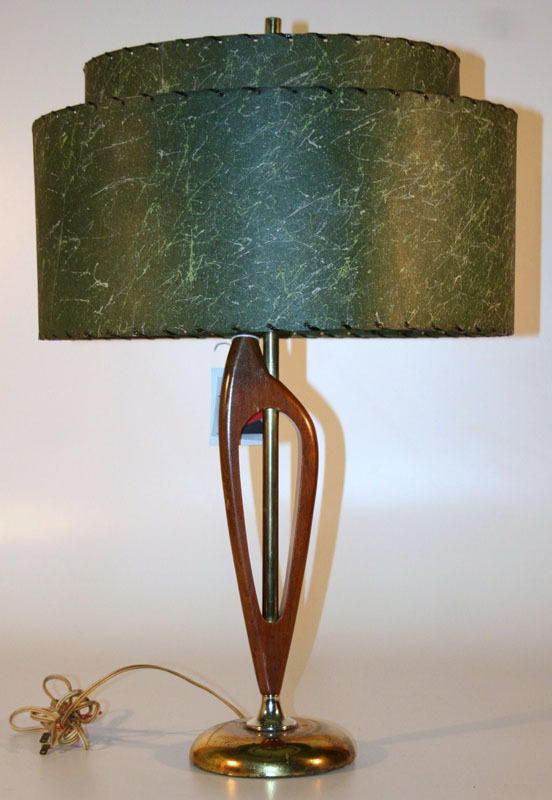 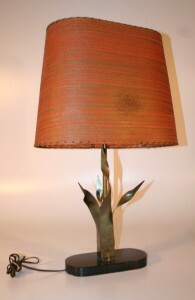 a grand example of Mid Century Modern Wood Lamp with its original shade. 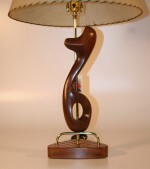 The lamp is as beautiful today as its was when made.